What is a U value? A U value or thermal transmittance value, when discussed in relation to a building component or structure, is a measure of the rate at which heat passes through that component or structure when unit temperature difference is maintained between the ambient air temperatures on each side. It is expressed in units of Watts per square metre per degree of air temperature difference (W/m2K) . 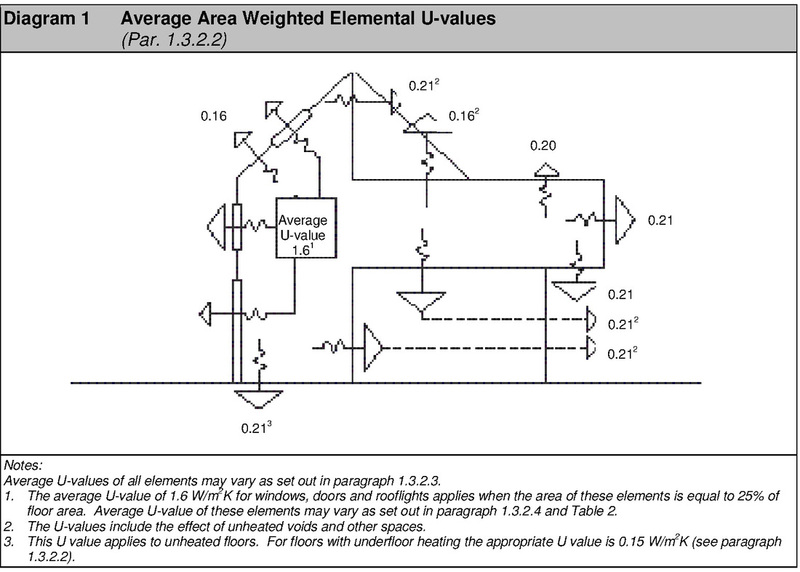 In simple terms the lower the U value figure the higher the performance of your structure and in turn the less the building will cost to heat or cool as the case may require. Where are U values calculated? As a general rule U values are calculated on the external envelope of your building or put another way, those elements of your building exposed directly or indirectly to the outside air. This includes floors directly in contact with the ground, suspended ground floors incorporating ventilated or unventilated voids, and elements exposed indirectly via unheated spaces. 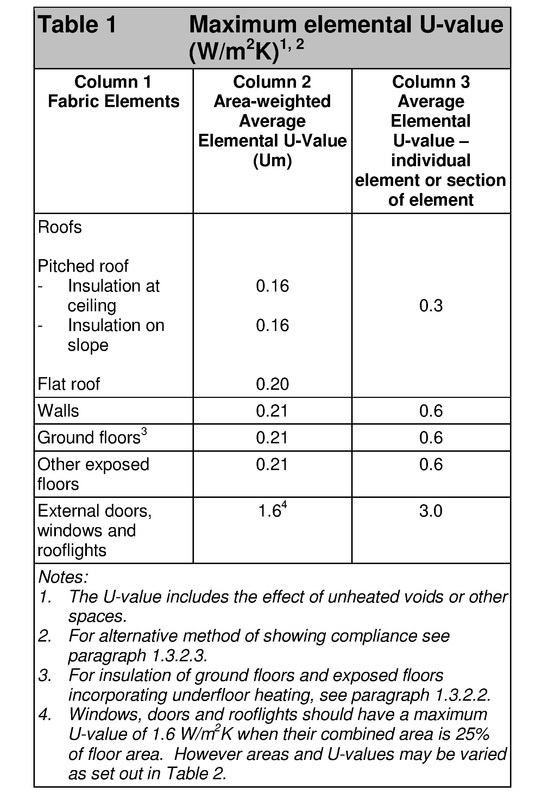 The U-value takes account of the effect of the ground, voids and unheated spaces on the rate of heat loss, where appropriate. What U Values should I aim for ? Please see the diagram above and the diagram below to give you an indication of the U value targets you should be aiming for on new constructions. So thats it! I just focus on U values and I'm sorted? If only it was that simple. U values are just one part of the story. There's not much point having a great U value if your building is leaking heat like a sieve . This brings us to the next area to consider i.e. 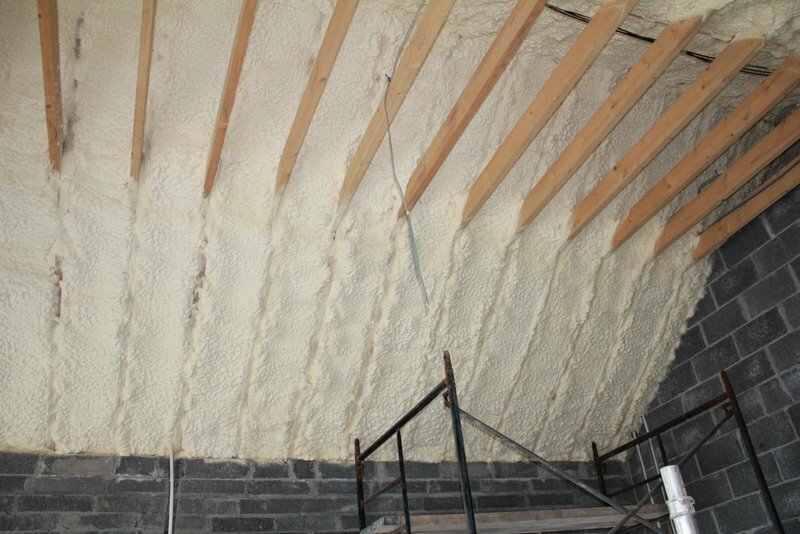 airtightness or as it's sometimes called air permeability . What is air permability? Air Permeability is a value calculated by dividing the air leakage rate through the envelope of your building, measured in m3/hr, by the envelope area in m2. The performance is assessed at 50 Pascals pressure difference. So what targets should my building meet or exceed for air permability ? For current regulations you should be aiming to exceed a value of 7 m3/hr/m2, or in other words your building envelope when air pressure tested should ideally leak less that 7 m3 of air per hours, at 50 pascals of pressure (that's 0.007 PSI ,pounds/square inch), for each square meter of building envelope.